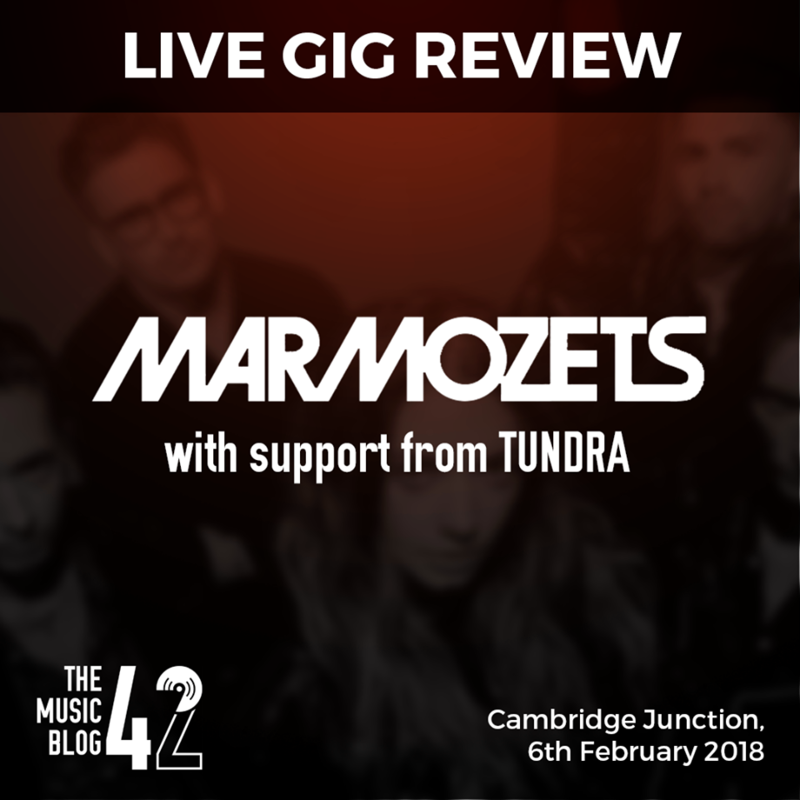 Marmozets played a triumphant set last night (6th Feb) at the Cambridge Junction. The band flew out of the starting blocks, pounding their way through tracks like New Religion and Habits. The majority of their setlist came from their new record Knowing What You Know Now, with Play and Meant To Be sounding absolutely ferocious getting a great reception from a rowdy crowd. The Yorkshire band also played tracks from their debut record which really made Becca MacIntyre’s vocals sound even more powerful. She without a doubt has the best voice in rock music right now, her extensive vocal range paid off with inch-perfect falsettos in Run with the Rhythm, and powerful screams in Lost In Translation and Weird and Wonderful. Let’s not forget however about their incredible support band TUNDRA from Bury St Edmunds. Drafted in at the literal last minute after Queen Zee had to pull out, they flew through a 30-minute set which included favourite Irish House Mafia and Vacation (Cheer Up Chuck). The trio also played songs from their upcoming EP, which sounds absolutely brilliant. Their EP is hotly anticipated and we can’t wait to hear it! Marmozets rounded their set off with Major System Error, whipping the crowd into a frenzy by asking them to crowd-surf (the vast majority did), and the stunning Captivate You which is a clear fan favourite from their first record.